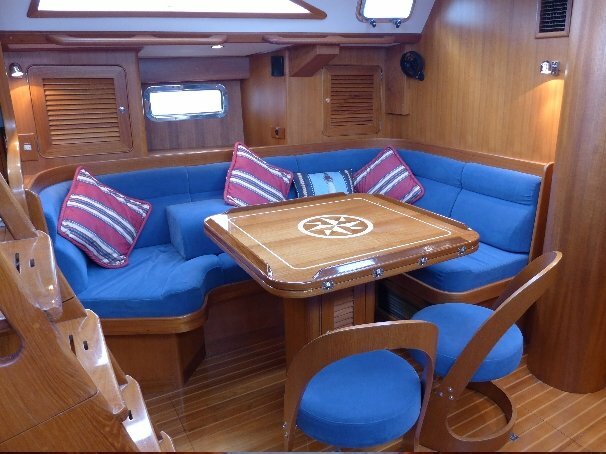 The Hylas 49 is known for her elongated more traditional lines that include an elegant hand-finished teak interior, solid laminate hull, and watertight bulkheads. 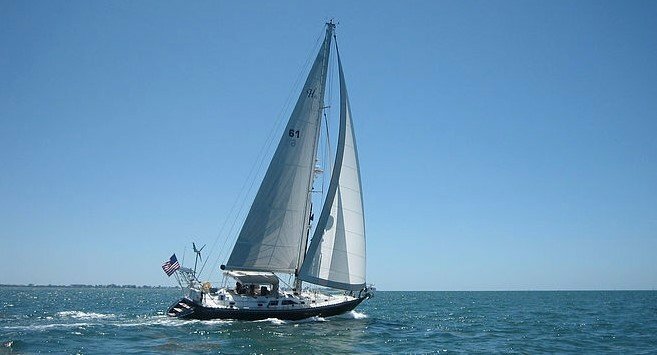 This vessel includes three impressive double cabins with state of the art custom features that offer reliability as an offshore performer or elegant coastal cruiser. 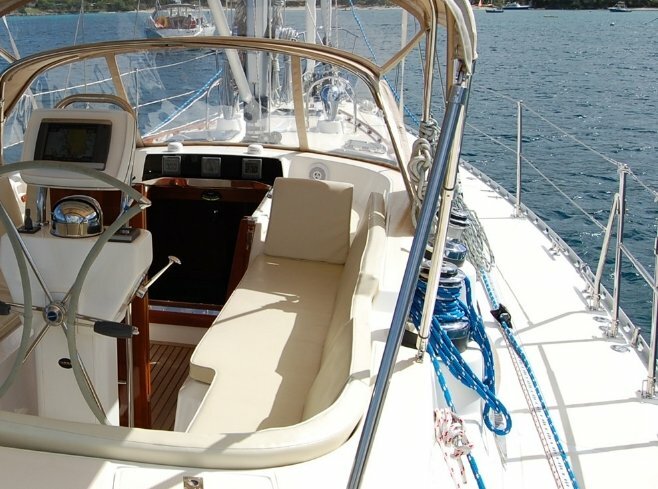 The Hylas H49 delivers on its reputation of providing the ultimate cruising experience..
On deck, her deep and secure center cockpit provides perfect visibility from the helm and seats long enough to accommodate a relaxing nap. 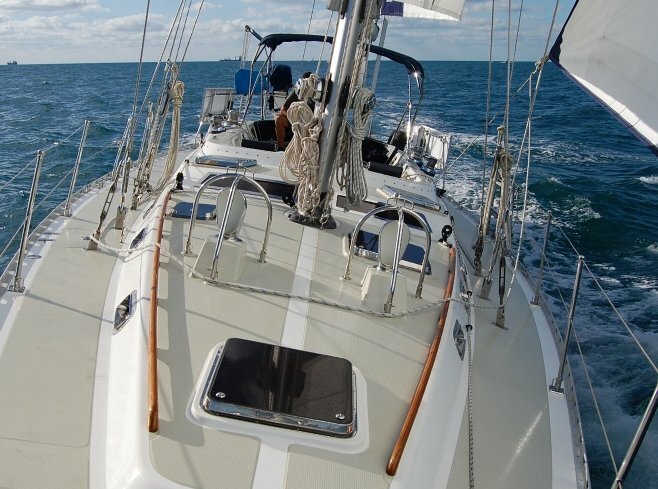 The reverse transom with wide steps and an integrated boarding ladder make getting aboard or off a breeze, whether from the water or from your dinghy. 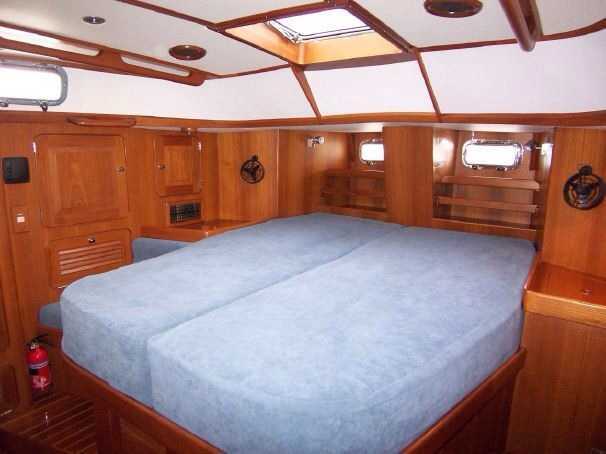 A feature-filled interior incorporates three double cabins, extraordinary in a 49-footer. 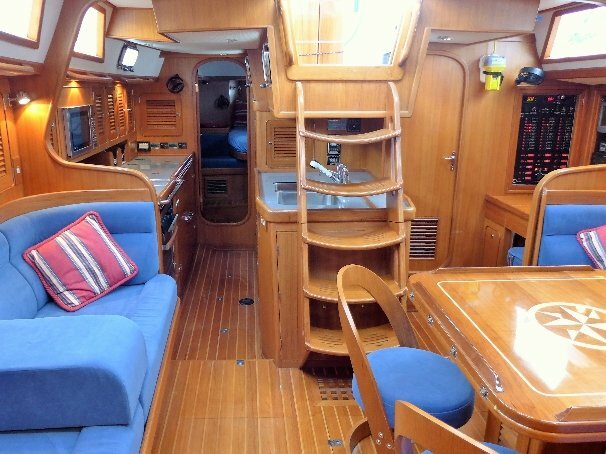 The fully -equipped galley spans one of the two passageways to the aft stateroom. 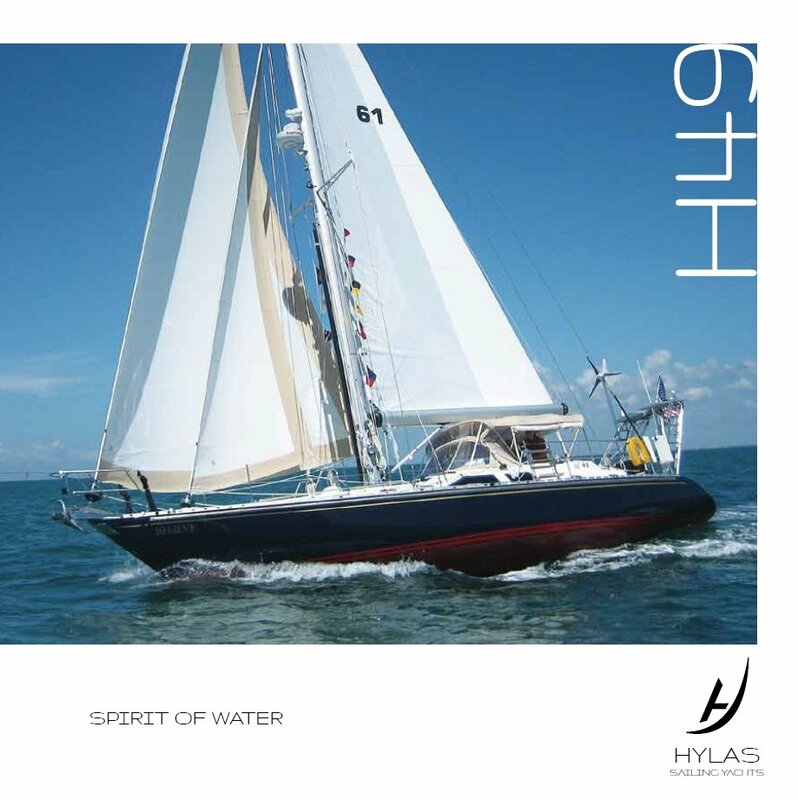 For further information about the Hylas 49 including e-brochures and price lists, please email us or complete the contact form below.